While distinct from each other in style and subject, the five new features that the NFB is sending to Hot Docs this year share a common ethical approach to documentary cinema — one in which filmmakers take time to build authentic relationships with subjects and communities, and to unearth the subtleties of the complex and sensitive stories they’ve chosen to put onscreen. The NFB offering this year includes Julien Fréchette’s My War, making its world premiere, along with four other new feature-length docs — 1999, by Samara Grace Chadwick; What Walaa Wants, by Christy Garland; First Stripes, by Jean-François Caissy; and Love, Scott, by Laura Marie Wayne. In each case the director has embarked upon some version of what film scholar Ezra Winton, co-founder of Cinema Politica, calls the “slow path” to creating socially engaged cinema. Commenting on the Hot Docs’ 2017 program for POV Magazine, Winton talks about the powerful industry pressures on filmmakers to produce work “on speed dial,” whereby documentaries get made on accelerated commercially-driven production schedules. As a result they often miss vital aspects of stories they’ve set out to tell and short-circuit relationships with film subjects. He goes on to single out four titles in the 2017 program in which directors succeed in sidestepping the ‘speed dial’ syndrome, making work that benefits from prolonged relationship building with subjects: Jason O’Hara’s State of Exception, Kalina Bertin’s Manic, and two NFB titles, Marie Clements’ The Road Forward and Charles Officer’s Unarmed Verses (pictured below). Many of these qualities are on display again this year in the NFB line-up. Unique in the world as a public sector production studio, a careful emphasis on craft and production ethics has long been a hallmark of the NFB’s documentary culture. 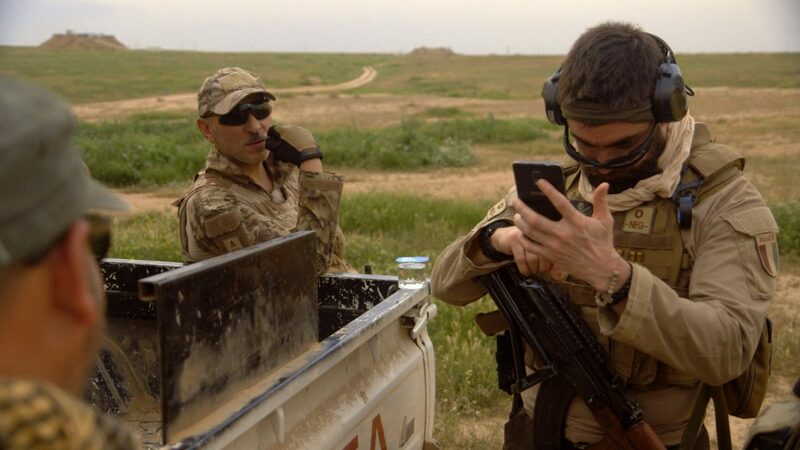 In the case of My War, Julien Fréchette started building relationships with subjects back in 2014, while producing a short documentary in Iraqi Kurdistan for Radio-Canada’s news channel, Ici RDI. Four years later he comes to Hot Docs with a richly informed and nuanced profile of four western volunteer combatants who’ve left comfortable lives to take up arms in someone’s else’s war, fighting ISIS alongside Kurdish forces in Iraq and Syria. My War is produced and executive produced by Colette Loumède for the NFB’s French-language Documentary Studio. What Walaa Wants comes to Hot Docs fresh from its world premiere at the Berlinale, where it was hailed by Variety as a “classic coming-of-age story with a girl-power message.” Over the course of six years, seasoned documentarian Christy Garland forged close ties with a rebellious tomboy from Balata, the largest refugee camp on the West Bank, charting her charismatic young subject’s progress as she makes the unusual choice to enlist in the Palestinian Security Forces. “The whole long process has not always been easy on Walaa, having my camera in her face, documenting her ups and downs, capturing her difficulties during police training, her fear of not measuring up, all that,” says Garland in this recent post. “Ultimately we told the story together. Building trust was gradual, but it’s resulted a very special relationship that I think has changed us both.” What Walaa Wants is a coproduction between Murmur Media (Matt Code and Christy Garland, producers); Final Cut for Real (Anne Köhncke, producer); and the NFB’s Ontario Studio (Justine Pimlott, producer). With 1999, writer/director Samara Grace Chadwick revisits the fraught landscape of her adolescence, École Mathieu-Martin, New Brunswick’s only francophone high school. It was here in the late 1990s that a strange contagion of teenage suicide swept through Chadwick’s contemporaries, claiming a number of young lives. Taking the time to reconnect with trusted old schoolmates, fellow survivors of those tragic events, she reflects upon their collective loss. “This film deals only with their stories, among the thousands of stories of people who were affected by the suicides there,” says Chadwick. “There is no way to cast an objective eye on what happened, so I stuck to my own experience — it was the only story I felt comfortable telling, the only one that I could tell.” The use of Acadian vernacular chiac anchors the film in a specific cultural time and place, while Pablo Alvarez-Mesa’s inventive prismatic cinematography offsets grief with light-infused wonder. 1999 is produced by Parabola Films (Selin Murat and Sarah Spring) in co-production with Beauvoir Films (Aline Schmid) and the NFB (Kat Baulu, Quebec and Atlantic Studio; Jac Gautreau, Canadian Francophonie Studio Acadie). NFB executive producers are Annette Clarke and Dominic Desjardins. It took Jean-François Caissy almost a year to secure permission from the Canadian Armed Forces, but his tenacity paid off with extraordinary access. Shot inside a basic training facility over twelve consecutive weeks, First Stripes (Premières armes) is his intense and measured portrait of military life. Empathetic towards the young recruits yet careful to avoid judgement, Caissy documents their initial encounter with the rigid hierarchy and often-inscrutable codes of army life. Cinematographer Nicolas Canniccioni makes effective use of widescreen framing, shooting proceedings in muted wintery tones. First Stripes premiered at the Berlinale and has been programmed by the prestigious online cinematheque Mubi. The film is the third in Caissy’s five-part series on major life stages. His film Journey’s End (2009) shot inside a seniors’ home, also screened at the Berlinale. First Stripes (Premières armes) is produced by Johanne Bergeron and executive produced by Colette Loumède for the NFB’s French-language Documentary Studio. October 12, 2013. Scott Jones, a young Nova Scotian musician, is quietly walking home from a night out with friends when a sudden act of vicious homophobic violence changes his life forever, leaving him paralysed from the waist down. Laura Marie Wayne, one of his closest friends, was studying film in Havana at the time. “I flew to Halifax, terrified, but knowing I needed to be by Scott’s side. I also knew that I needed to bring my camera.” She and that camera would stay close to him for the following four years. With Love, Scott, Wayne has fashioned a loving portrait of resilience, healing and hope. Poignant concert footage of Jones directing VOX, a community choir he founded as part of the Don’t Be Afraid Campaign, occupies a central place in her story, and an ethereal score includes original compositions by the Icelandic ensemble Sigur Rós, active in the struggle for LGBTQ rights. 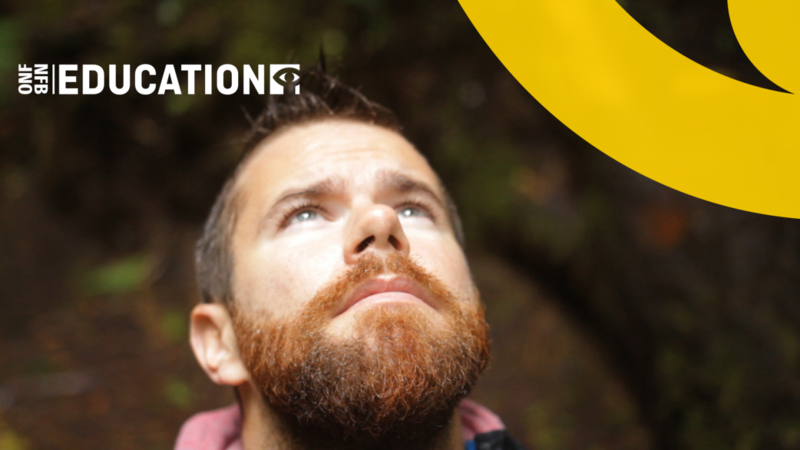 “I’ve become deeply connected to and part of the LGBTQ community,” says Wayne, “I identify as an ally, and I’m using documentary film as a medium to present an insider story of queer experience to a mainstream audience.” Love, Scott is produced and executive produced by Annette Clarke for the NFB’s Quebec and Atlantic Studio. Released in 1993, Alanis Obomsawin’s account of the infamous 1990 Oka standoff is now considered a landmark of Indigenous cinema. Few filmmakers have pursued the “slow path” of deeply engaging with subjects with such dedication. 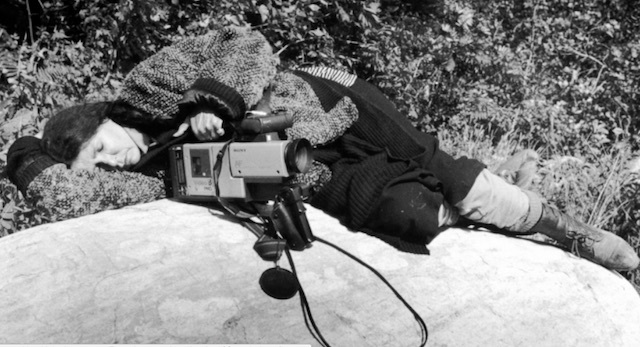 On the very day the crisis began, July 11, 1990, Obomsawin rushed to join the Kanien’kehá:ka (Mohawk) protesters behind their barricades, and she and her camera would remain there without break until the standoff ended 78 days later. 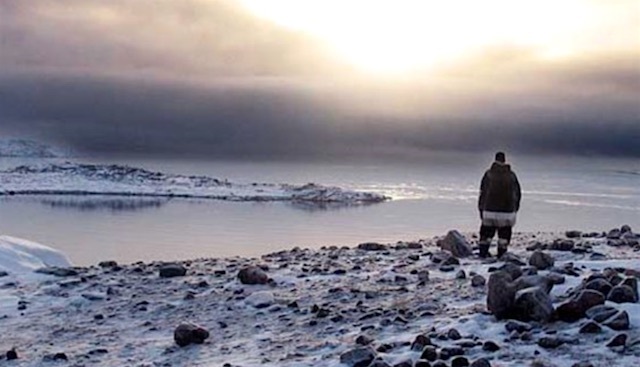 The TIFF Canadian Film Encyclopedia refers to Kanehsatake: 270 Years of Resistance as “an essential review of the cataclysmic events of the summer of 1990…a compelling view of one of this country’s most fundamental conflicts.” As Obomsawin enters the 51st year of her extraordinary career, Hot Docs 2018 is presenting a special 25th anniversary screening of her masterwork. 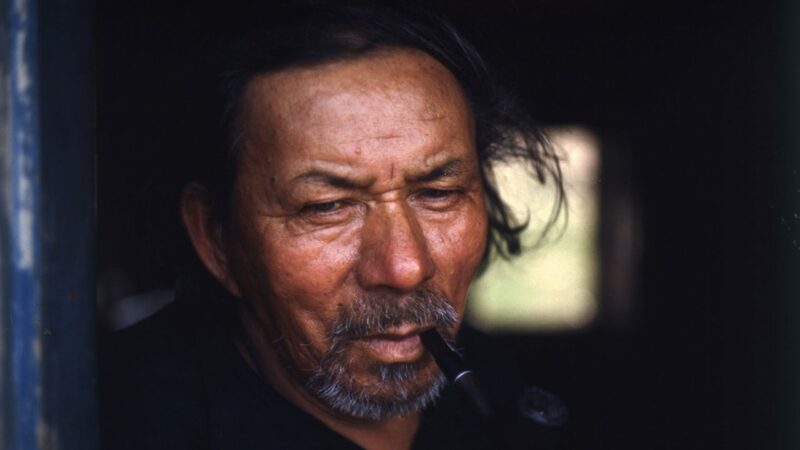 Obomsawin is currently completing a Kanien’kehá:ka language version of the film. Below: Obomsawin and her camera behind the barricades. Two new NFB produced interactive documentaries will be showcased at DocX, an interdisciplinary program presenting work in non-traditional formats. 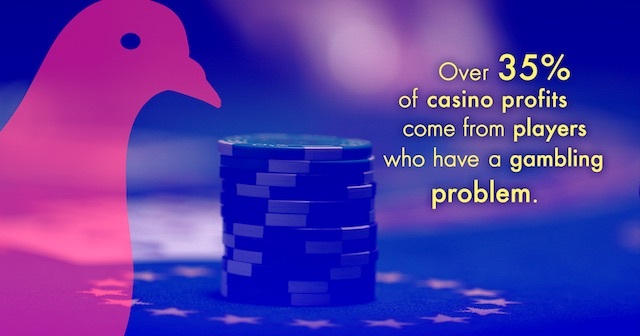 Thank You for Playing is an online interactive documentary that invites users to explore the psychology of gambling, inviting them to play on virtual slot machines. Director Andréa Cohen-Boulakia collaborated with designer Priam Givord and Reflektor Digital. Produced by Dominic Desjardins at the NFB’s Canadian Francophonie Studio in Toronto. With The 3rd Wheel, director André Roy has users take a seat in wheelchairs to experience a 360-degree short doc on a New Brunswick gym teacher working to make sports accessible to two sisters with muscular dystrophy. Produced by Jac Gautreau and Dominic Desjardins at the NFB’s Canadian Francophonie Studio – Acadie in Moncton, with Dominic Desjardins as executive producer. Also on the Hot Docs program this year is a tribute to John Walker, one of Canada’s most respected and versatile directors, along with a number of classic titles from NFB’s vast and varied catalogue. John Walker has collaborated frequently with the NFB over the course of a career spanning three decades, and four award-winning NFB releases are part of this year’s Hot Docs retrospective: A Drummer’s Dream (2010); The Fairy Faith (2000); Men of the Deeps (2003); and Passage (2008), pictured below. This 2018 Redux Program, an annual showcase of documentary gems curated by Hot Docs programmers features no fewer than nine NFB productions that have left their mark on Canada’s documentary tradition: Black Mother Black Daughter (1989), directed by Sylvia Hamilton and Claire Prieto; The Children of Fogo Island (1967), directed by Colin Low: Vive La Rose (2009), a Global Mechanic/NFB coproduction directed by Bruce Alcock; the Oscar nominated Hardwood (2004) a Hardwood Pictures/NFB coproduction directed by Hubert Davis; First Stories: Two Spirited (2007), directed by Sharon A. Desjarlais; Like the Trees (1974), directed by Studio D founder Kathleen Shannon; Two Worlds Colliding (2004), directed by Tasha Hubbard; Uninterrupted (2012), directed Nettie Wild; and Manufactured Landcapes (2006), an NFB/Mercury Films/Foundry Films co-production directed by Jennifer Baichwal. 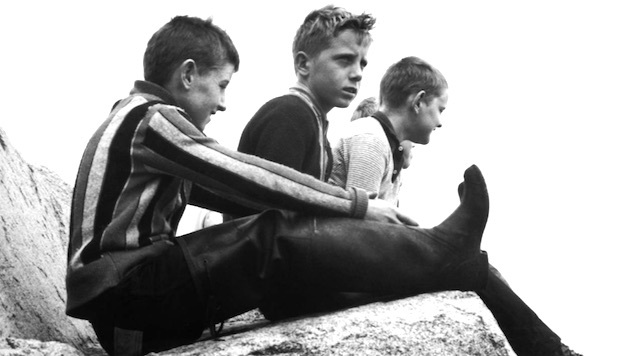 Pictured below: The Children of Fogo Island. Visit hotdocs.ca for screening information.